See, things were enervating back then, too. There are far more important websites – newsy-type places trying to make sense of today’s Washington – you could be reading right now and I encourage you to do that. Because, there was a time when, just south of the White House, they played baseball. 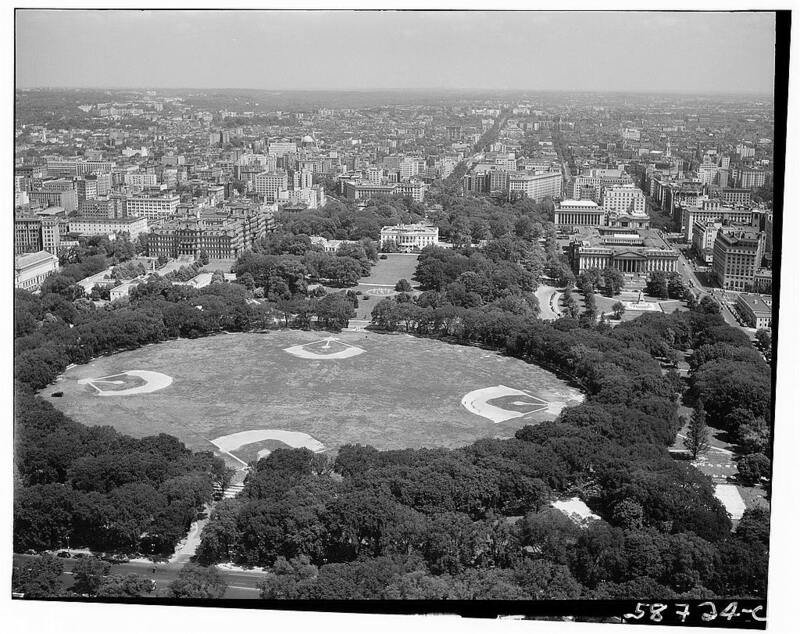 According to Histories of the National Mall, the first baseball games were held on the White Lot – the 52-acre park south of the White House that is now the Ellipse – in 1860. The White Lot baseball fields in the mid-1940s. During the Civil War, President Abraham Lincoln would take an occasional break from war strategy and catch a game at the White Lot with his son Tad.